This is how our "photoshoot" ended. We started all neat and tidy but it didn't take long to be covered in grass clippings and feijoa juice. It's my favourite photo of the afternoon. Shall we get back to the beginning? 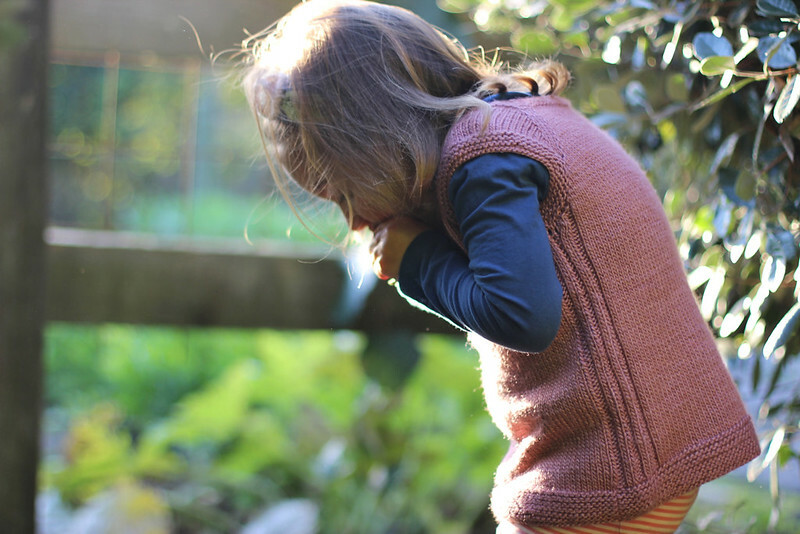 I knit this sweet little vest as a test knit for Becca at Tiny Lovely Knits. She has written a great new pattern and needed people to test that it all worked and fitted properly before she published it. I jumped at the chance. 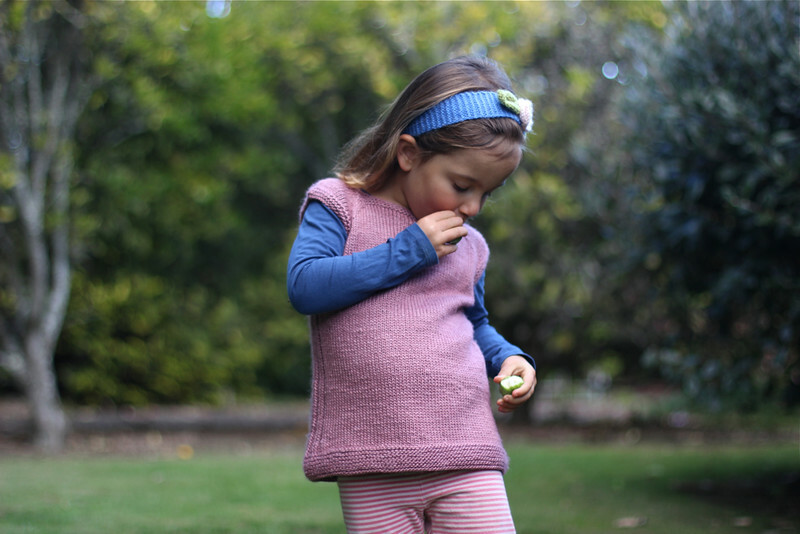 I'm really keen to get to know more New Zealand designers and knitters but also, as the temperature drops here, it's become apparent to me how much my kids are in need of new knits, especially vest tops like this. They keep little people warm without making them feel too hot and they can be layered up without getting all bunchy around the arms. Isn't it cute? 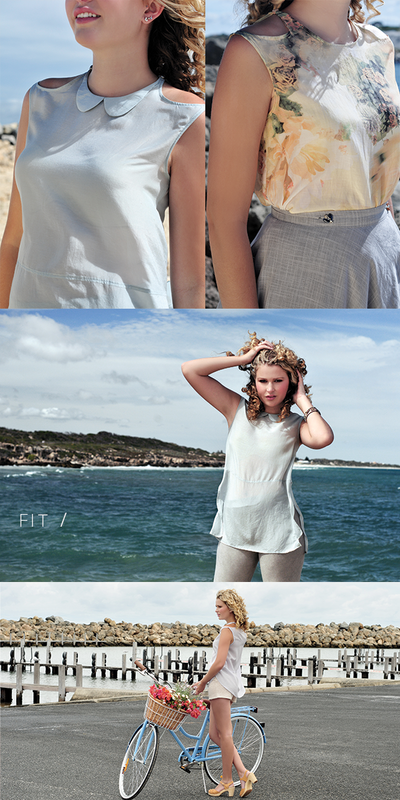 It's a top down, seamless top that would be perfect for a range of knitters - from beginners to experienced. The techniques you need to know are knit, purl, increasing stitches, working in the round and if you chose the version with a sweet cable running down the side; how to use a cable needle. The neckband and shoulders come together almost by magic and the body is mostly happy, mindless knitting in the round so it's perfect for tired evenings and chit chat. 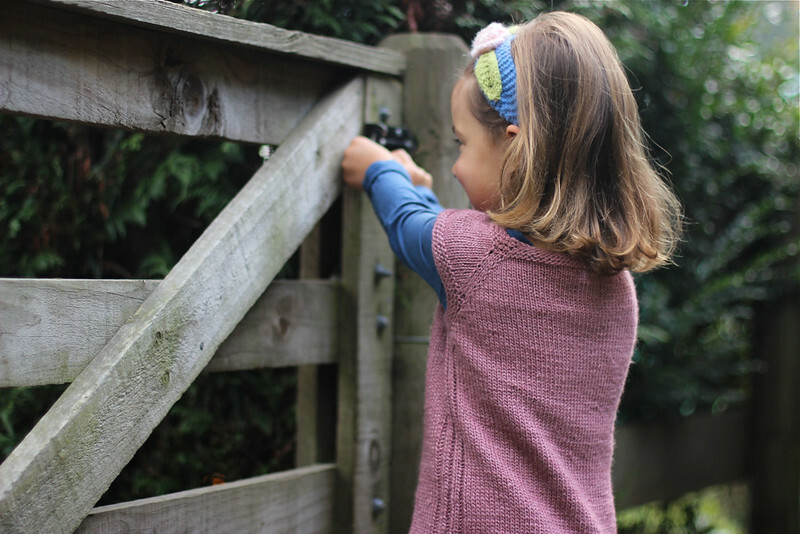 Becca released her Kelpie vest this week and it's available in a whopping number of sizes: 3 months to 12 years and in no less than 3 yarn weights - double knitting, worsted and chunky. I'm sure I'll be making more myself, my big kids already want them! In fact my 10 year old thinks she might like to make her own :) I can also see that this pattern will be popular for new babies too - a tiny vest could be whipped up in no time and would make such a great gift. Mine is a double knit version. I used a gorgeous 50/50 silk/merino blend of yarn from my stash that's probably quite wasted on a small person but it's soft and warm with beautiful drape and my wee girl loves it. The pattern photo shows the cable version that includes a cable running down the side of the body. I liked the simplicity of the ribbed sides, so went for that. There are options for both in the pattern but if you didn't fancy either, or wanted a really quick and easy knit, there's no reason why you couldn't do straight stockinette all around the body. See, she loves those feijoas. There were a few left on our trees after a bumper crop this summer. If you haven't tried feijoas and you don't live in New Zealand I don't know how easily you'll be able to get hold of them. If you can, do! A garden staple in New Zealand, feijoas are delicious. They are a sweet, soft green fruit with a creamy/grainy centre and come in a range of sizes depending on the variety and you can eat them raw or cooked. Ours are large with creamy centres. I've heard talk of feijoas in London but never saw them there myself. Sometimes they're called pineapple guavas. Have you come across them where you are? Anyway, back to the knitting and the giveaway! 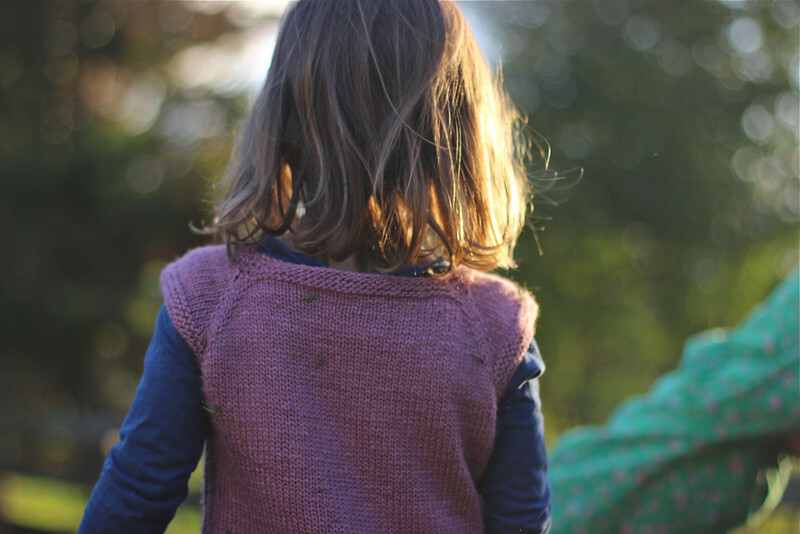 Becca has very generously offered three copies of her Kelpie Vest pattern to giveaway to three lucky readers. Do you fancy winning one? If you do, leave me a comment below and let me know if you've ever tasted a feijoa and if you thought it was yummy. I'll close the draw and randomly choose three winners on Wednesday 28th May 2014. Just one entry each please, but feel free to tell all your friends! 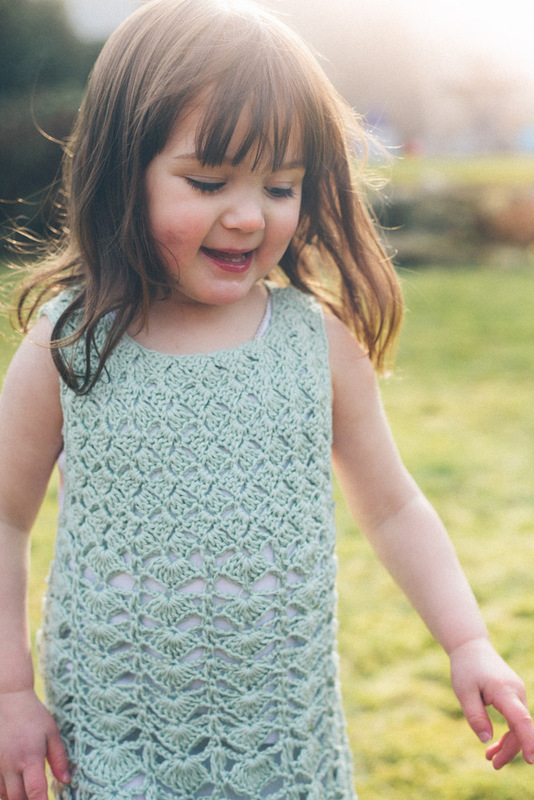 In the meantime, you can find Becca's gorgeous Kelpie Vest on Ravelry here (she's got an introductory offer of 25% off until May 25th!) and the project page for my pink version (including yarn & needle details), here. By the way, if you noticed the knitted headband in my photos and fancied whipping up one too - I've got a free little pattern for them here. Guess what? I've got an exciting giveaway for you! Remember I've been crocheting lately? I told you that the pattern for my lovely poncho came from The Crochet Project's first design collection - it's the Berula Poncho. 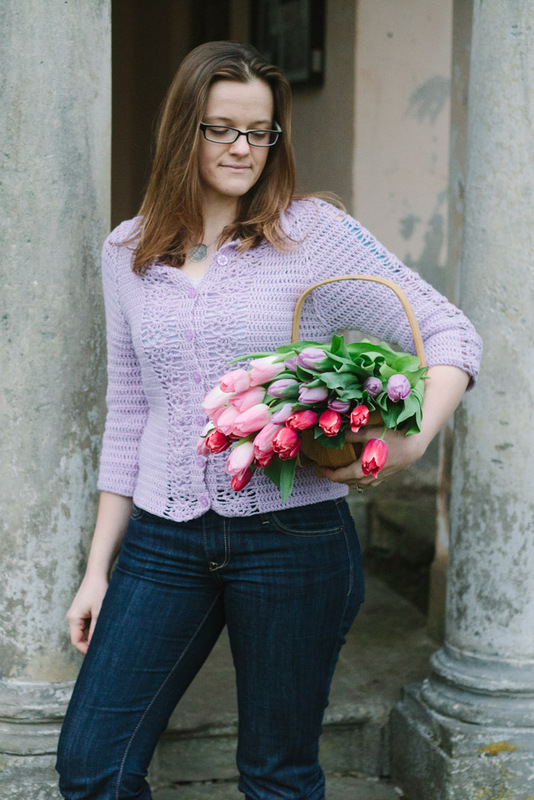 Well, there are many other lovely designs in the Crochet Project's inaugural collection, and I'm thrilled to be able to tell you about some of them and also have a couple of patterns to give away to two lucky winners! The Crochet Project was the brainchild of Joanne Scrace and Kat Goldin, both talented crochet designers in their own right. The project, launched in early 2013, is a collection of patterns from a number of designers made in some of the best yarns around and its focus is beautiful wearable crochet. Each of the patterns can be purchased individually, either directly from The Crochet Project website, or on Ravelry. Let me show you some of my favourites from the collection. They're beautiful. The wraps are some of my favourite pieces - I love the simple elegance of the designs, the colours they've chosen are just lovely and the styling for the shots sets them off so well. My first pick of the collection was the Berula Shawl by Anniken Allis pictured at the top. I'm about two thirds of the way through it and it has been a great pattern to start my crochet adventure with. It's easy to figure out, there's no shaping or complicated details to learn, but the result is modern and pretty, and I can see it being such a useful piece of clothing. I love lots of the other patterns too. 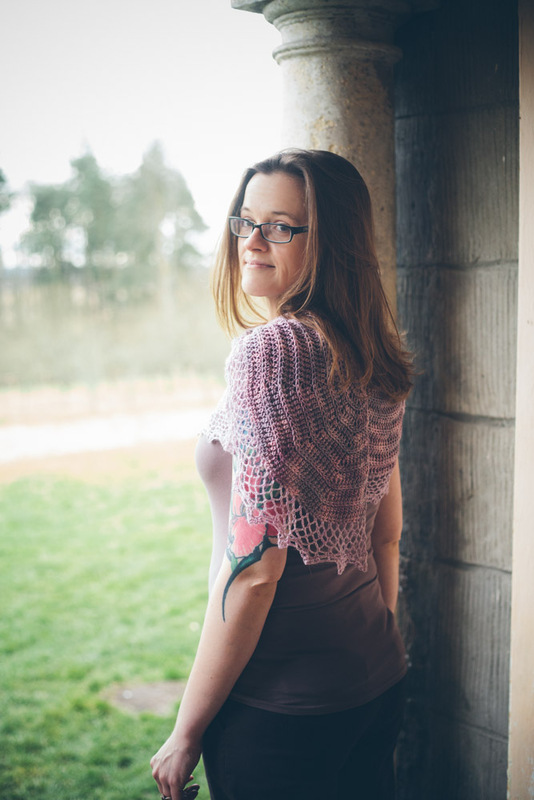 Joanne Scrace's, Silene Shawl in the picture above is just lovely. 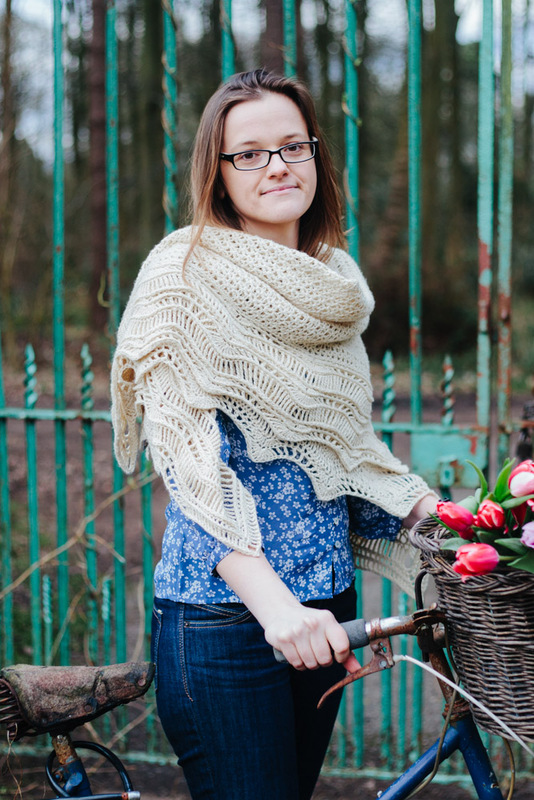 The contrast between the close crochet in the body of the shawl and the lacy border really appeals to me. I am a fan of long, curved shawls like this one and it looks like a perfect size to throw on around my neck to finish off an outfit. My heart was stolen by this little Euphorbia Dress designed by Rita Taylor. Isn't it just divine?! I am having to strongly resist dropping everything to cast one on for my littlest girl. I think it could be such a pretty "special dress" or a fun dress for everyday. Depending on what yarn you chose, it could easily be either. 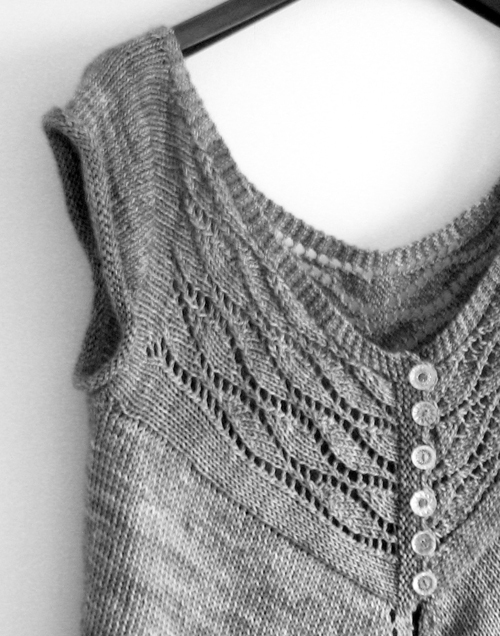 Kat Goldin's luscious Alchemilla Shawl is fantastic. It looks so cosy and stylish, especially in the cream she's chosen. I love it. It's hard to believe it's crochet rather than knitted. It has great drape and looks so soft and cuddly. Generously, this pattern is free! There are a couple of cardigans in the collection and both are lovely, but this lacy Bartsia Cardigan by Joanne Scrace is the one I think I'd like to wear soon. The lace detail is repeated at the centre back and down both arms making it light and versatile and I can see myself wearing it with bright summer capri's, or a pretty summer skirt. In the meantime, do you have a favourite from this first collection? Tell me which it is in the comments section of this post and you'll go in to the draw to win a free pattern! I've got two patterns to give away, so I'll draw two winners who'll each win a pattern of their choice from this lovely collection (Issue 1: Botanicals Spring/Summer 2013). Want to meet someone really inspiring? Someone who is building an exciting business, producing fashionable patterns that make you drool, and is taking the world by storm? Well, read on. Today's interview has me grinning from ear to ear. May I introduce: Megan Nielsen! Megan is one of my sewing heroes. She is a self-taught sewing designer and has single-handedly created a wonderful range of extremely stylish sewing patterns, designed with the sewer in mind. 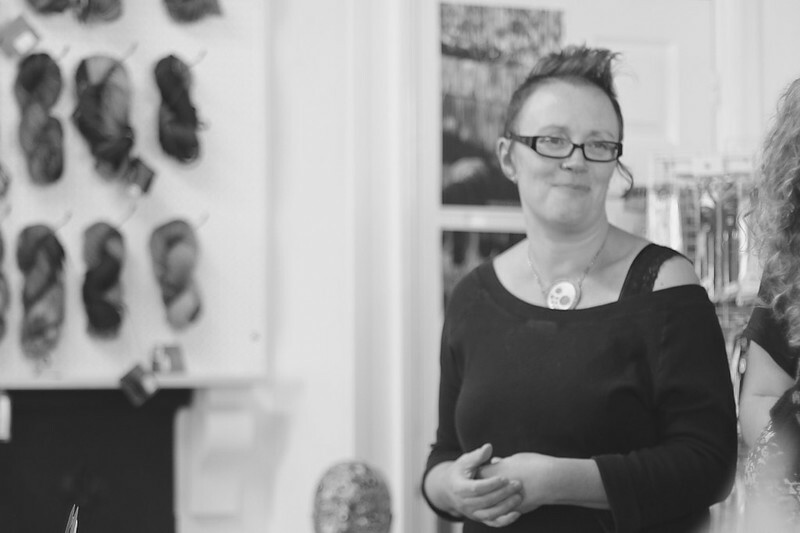 In her words: "we're changing the way people think about sewing, we believe sewing should be fun!" I first came across Megan's patterns about a year ago, and they looked so polished and professional I didn't realise that Megan's business was still very young. After a period of selling collections of lovely clothing that she'd designed and sewn herself, Megan launched Megan Nielsen Patterns in November 2011 as something of an experiment. Her first patterns; four maternity and one from her clothing line, were such a success that within a year she had a collection of 10 patterns, bags, sewing kits and more. Plus, her patterns were selling all over the world. I found them in a very stylish fabric shop in London about six months after she launched and Megan was then based in the US! Fast forward to May 2013 and Megan's business has gone from strength to strength. Her Blog is one of my favourite reads, full of helpful tutorials, style ideas and sewing tips. She has an incredible following, 15 patterns for sale and has just released a new collection of four patterns, her beautiful Breakwater Collection. And, guess what? Megan is a mum to two lovely wee kids, and during this past year made the monumental international move from the US to her hometown in Perth, Australia. Whirlwind! And, she's friendly and still smiling. You recently moved from the US to Perth. It's so much hotter there - has your wardrobe totally changed? And, has it affected your designing? My wardrobe really has changed – a lot! One of the things I struggled with the most when I moved to the US was the fact that I didn’t own any warm clothing. Beyond jeans and a few sweaters. It took me quite a while to build up an appropriate arsenal of warm clothing, and learn to dress for my new climate. So now that I’ve moved back home, I have a rather insane collection of warm gear that I really can’t use again. It’s pretty funny actually! But since I grew up here I’ve adapted pretty quickly, and fallen back into my old rhythm. To be honest, Perth has really amazing weather. The summers are ridiculously hot – but the winters are lovely and mild, much like the Autumns we had in Virginia, except it lasts 5 months. I find myself filling my wardrobe with more light layers, and I’m going through pairs and pairs of sandals. And funnily enough, it really has affected my designing. I find most of my inspiration outdoors, and Perth has always been my greatest inspiration. When we lived far away I would get my doses of inspiration in short bursts when we came on holiday, but now I feel like I’m constantly surrounded by the things that inspire me – and it’s really helped me latch onto a fresh feeling, and hone my aesthetic. I suppose that makes sense though, since this is the place where I first discovered my love of designing, and found my look. 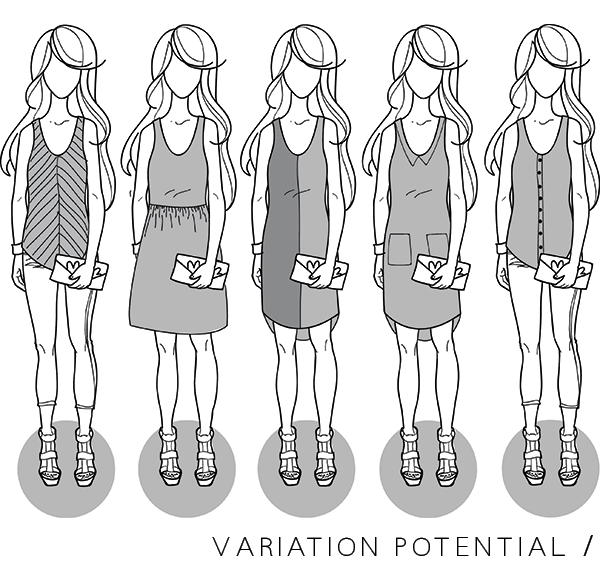 You've got some fantastic tutorials on your blog, especially about adapting your patterns. Do you design with adaptations in mind or do they come to you later? I really really love variations. In my opinion, a pattern is a waste unless you can use it multiple times – which is why I’m so passionate about sharing lots of ideas with my customers for how they can get more value from their patterns. But I don’t begin the design process that way. In fact, I don’t begin thinking about the final sewing pattern – I always begin with a focus on fashion. I design a collection as if it were a ready to wear collection. Then I begin working on the individual designs as patterns. As I’m working on them I start to weed out the designs that won’t making particularly good patterns, and I adapt and change designs keeping in mind what will work well as a sewing pattern, and what will result in more variations. Often my idea will change a lot through the process as I brainstorm and test more variations. I like this method, because I think it maintains the heart and soul of my brand. Sewing seems to be coming back into vogue. I bet that's pretty exciting for you! Do you have a particular pattern from your line that you'd recommend for a brand new sewer? It’s REALLY exciting to me! I adore sewing – since I was a child I’ve loved it – but at that time it certainly wasn’t cool. For many years I hid my sewing from friends, and my goal was to reach a level where no one could guess I had made my outfit. Isn’t that silly? As the years went on I matured and lost that shyness about my designs. But I have to say, I’m incredibly thrilled to see some momentum behind the hobby these days. It excites me more than I can say to see more people taking up the hobby I adore so much! When it comes to recommending a pattern for beginners – honestly, I care a lot about beginners, and I’m very serious about making beginner patterns for real beginners. I think the Eucalypt or Cascade from my new collection are a wonderful starting point as they don’t require any difficult techniques like buttonholes or zippers – the Kelly is always a favourite, and was created with a simple shape specifically for beginners. 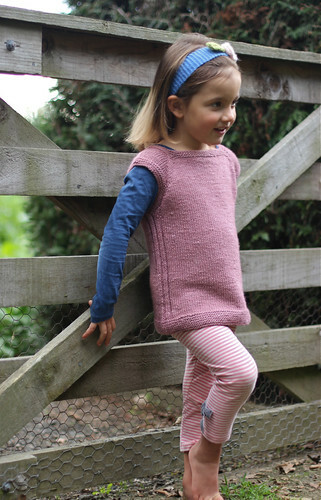 For those wanting to try knits, the Briar is also perfect – not only simple, but a really quick sew! I recently read on your blog that you're learning to knit? 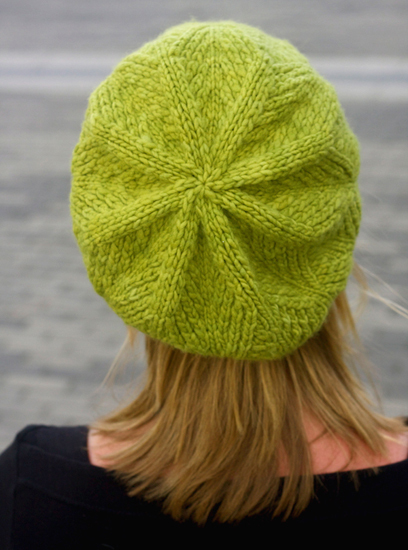 Do you have anything on the needles right now? I really want to get better at knitting. It’s a lovely relaxing hobby, and one I wished I’d learnt when my granny was still with us, and so very keen to teach me. Right now I’m actually working on some washcloths. It sounds mundane, but for some reason I’ve developed a really serious obsession with knitted washcloths recently. I’m driving my family crazy!!! But they’re just so soft and unique… it’s a strange obsession I know! And finally, for me: I'm making your lovely Kelly Skirt with a million buttons down the front. Do you have any top tips for sewing buttonholes and buttons? I definitely have some tips for sewing buttons etc!! Holly and I just did a post about how to sew buttons with your machine – and in a couple of weeks I'll show you my special trick for sewing button holes without a special function on your machine. Inspired? 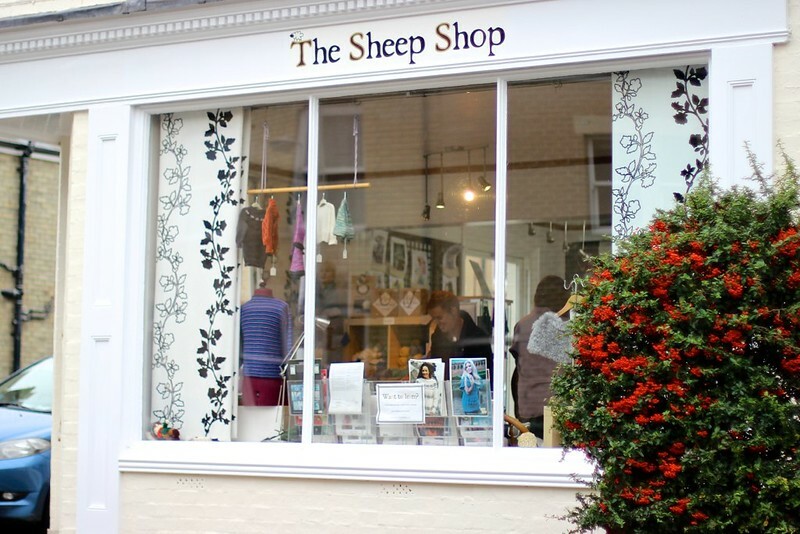 Rushing to get out your sewing machine? I hope so! In fact, I'm hoping I've tempted some of you die hard knitters over to the sewing side. Go on, here are the perfect patterns to start with! If you want to find out more about Megan and her lovely range of sewing patterns you can find her website here. Her blog is worth a read too - it is jam packed with great, useful stuff. And, you can find all of her patterns here. I've got another book review and lovely giveaway for you! 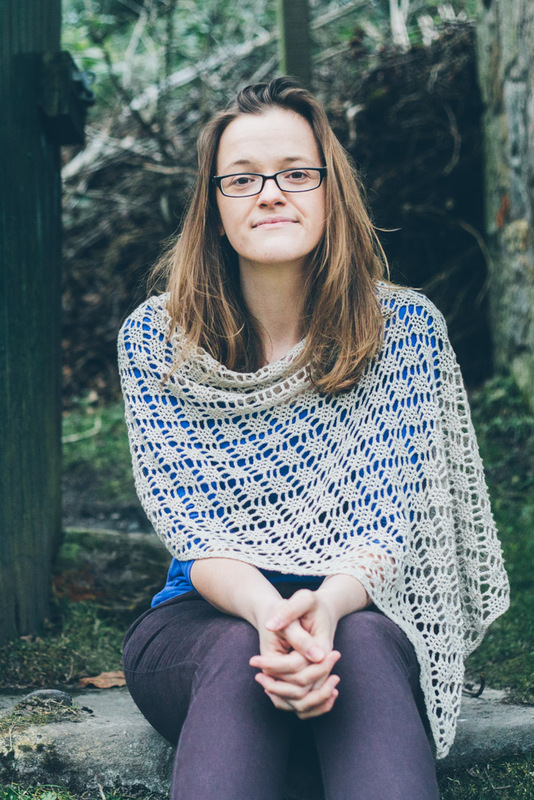 If you regularly lurk on the Ravelry list of top 20 patterns, you'll be familiar with the popular patterns of Alexa Ludeman and Emily Wessel, aka Tin Can Knits. These two clever women, both originally from Canada, now live half a world away from each other. These days Alexa lives in Canada, while Emily's in Scotland and if their photo shoots are anything to go by - they both are surrounded by very beautiful parts of the world. Low Tide has been in my Ravelry queue for ages. I first spotted it when Annie Claire made one last summer and I immediately wanted one too. It's such a pretty light cardigan and it sounds fun to knit. See how the bodice is knit side ways? You knit the fronts and the back then pick up for the body and knit it all in one piece to the bottom. Lastly the sleeves are picked up and knit in the round. I love the cap sleeves, the way it drapes at the front and the little curl at the bottom. I just have to make Torrent, these sweet lace socks, too. They're described as "watery lace" and isn't it fitting? I love the way the lace undulates down the sock like a little brook. The lace pattern is written up as a chart which makes it easy to follow, and uses several simple stitches: YO, M1, K2tog, ssk and sssk (trust me, you can do these!). I think they'd be a great beginner lace pattern. 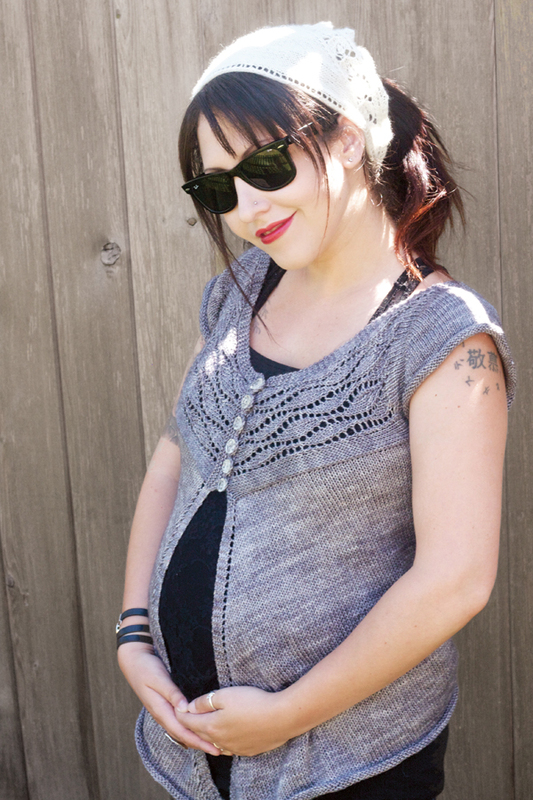 I really urge you to check out the other patterns in Pacific Knits too. 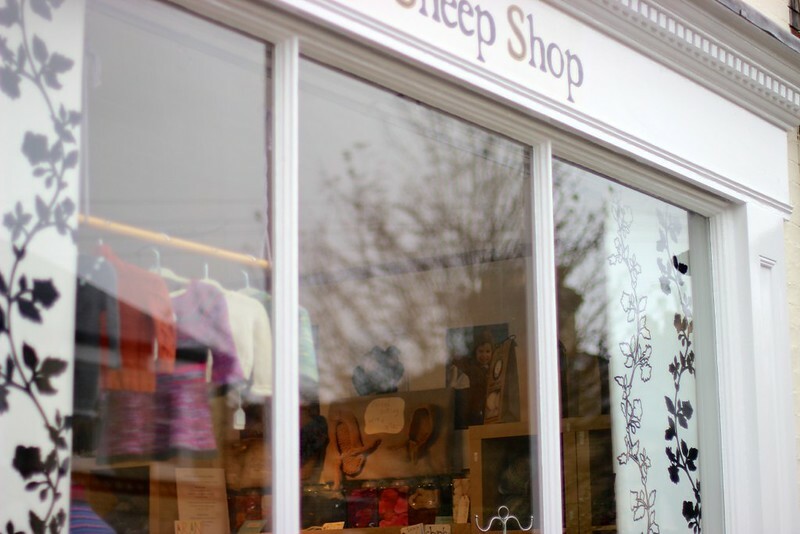 There are some gorgeous sweaters for little boys and big men, knits for women and girls, cute boots for kids, hats for the whole family and cowls & shawls. Heaps!!! In fact, I'm often asked to recommend books for Grandmas so they can knit for the family - Pacific Knits would be a goodie. There's something in here for everyone, the instructions are clear and the patterns not overly complicated. 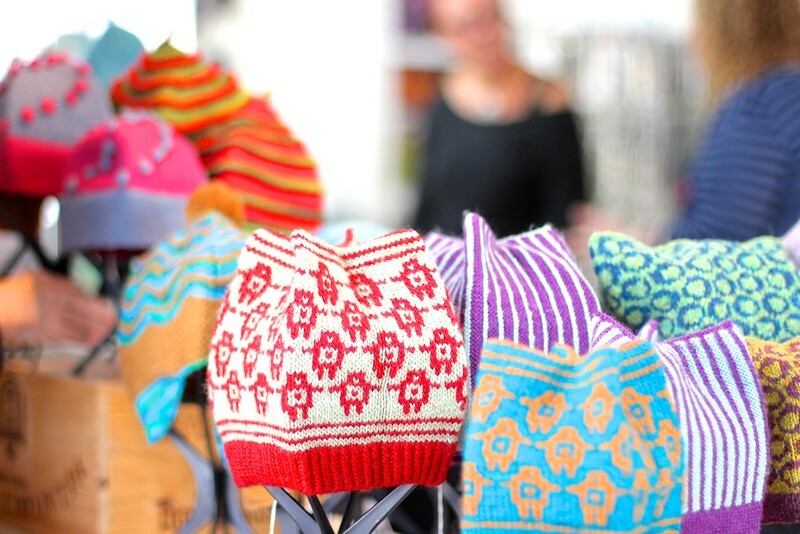 And, each of Tin Can Knits' patterns are available to purchase individually too. Both directly from them, or on Ravelry. 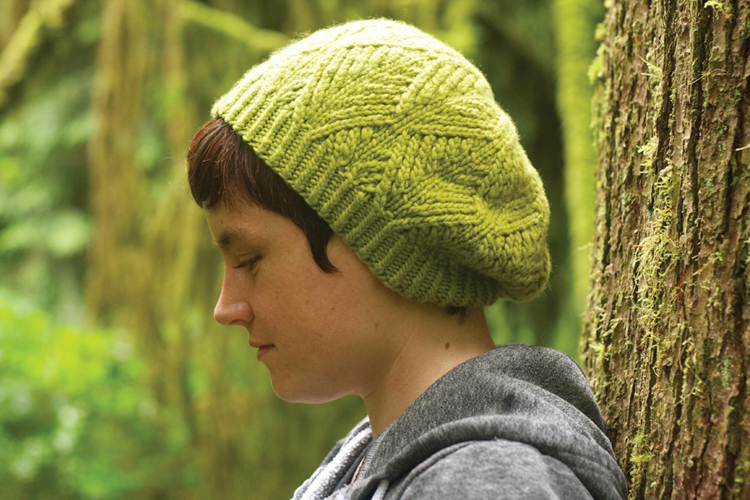 Want to win a copy of Pacific Knits for yourself?! 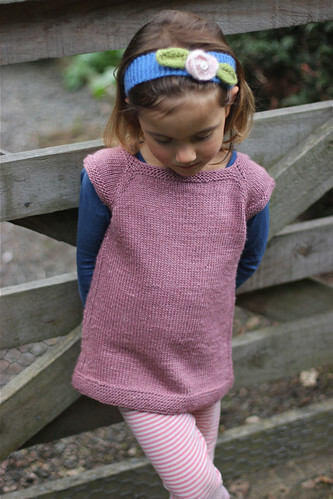 I've got a copy to give away to one lucky reader - all you have to do is leave a comment below telling me which is your favourite design from Pacific Knits before midnight Sunday 10 March 2013 GMT. I'll randomly draw a winner and let you know Monday morning.